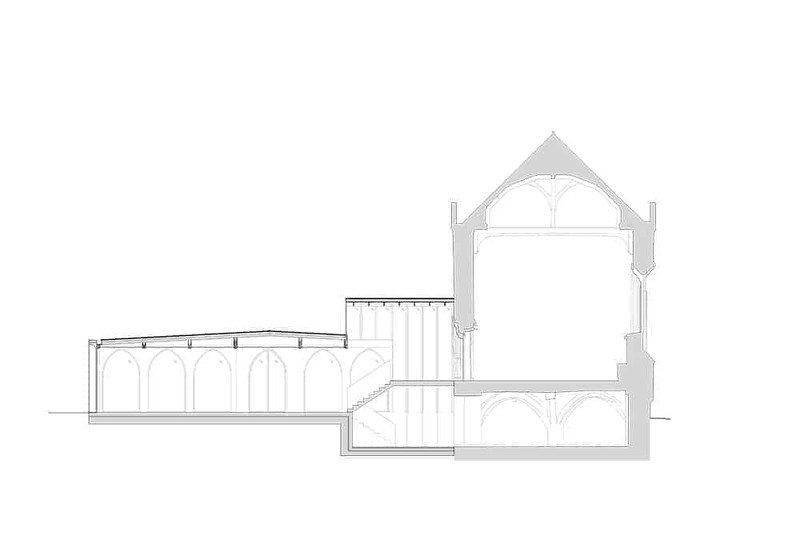 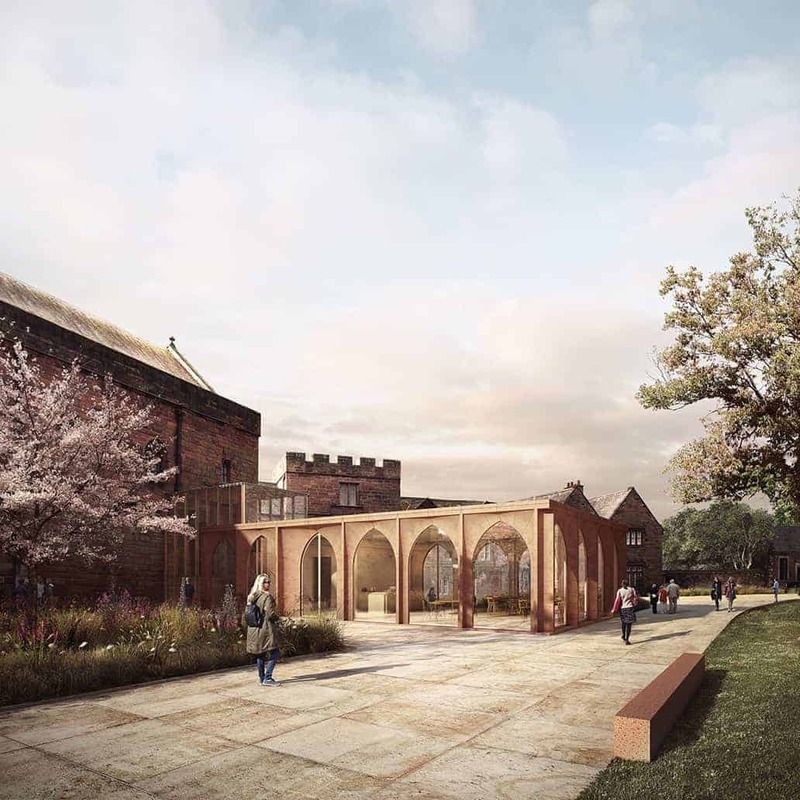 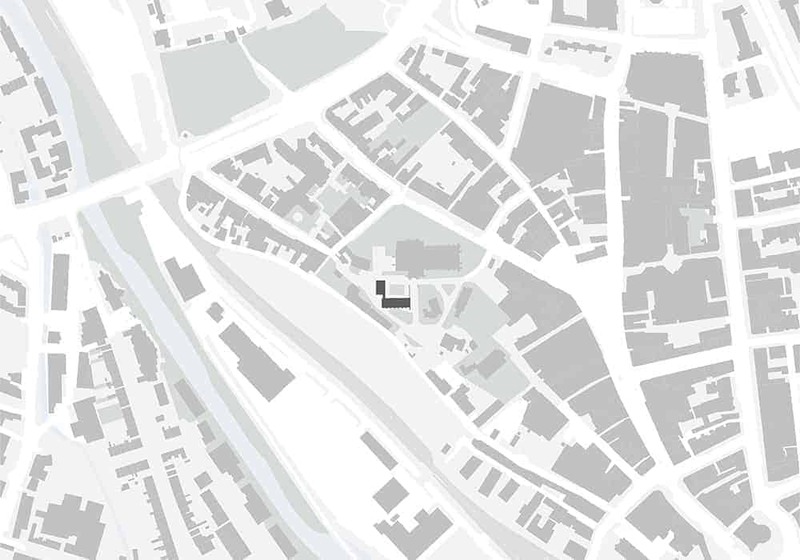 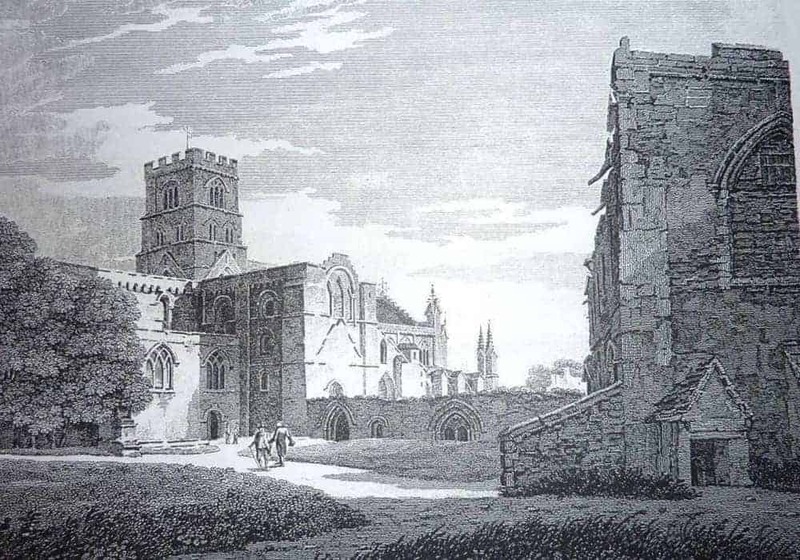 Feilden Fowles was appointed in May 2014 by the Cathedral to redevelop and extend the Grade I listed Fratry, which was built in the 1500s as the monastery refectory and currently houses one of the finest 17th – 18th century libraries in England. 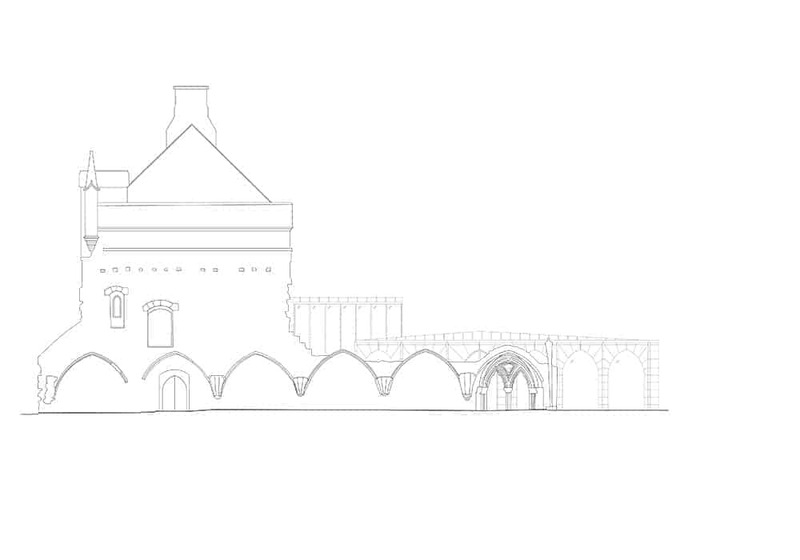 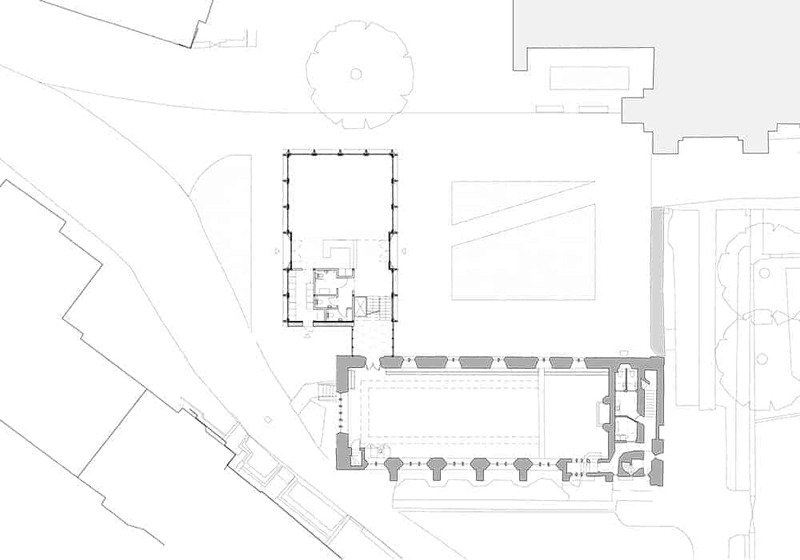 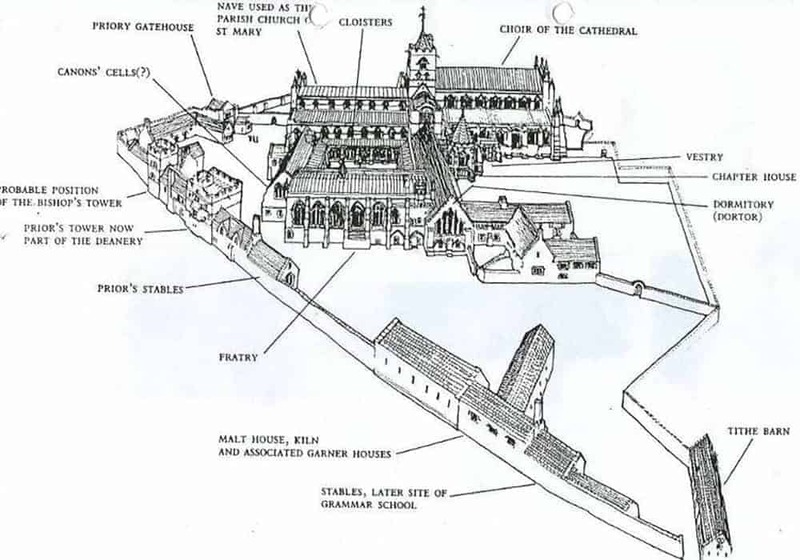 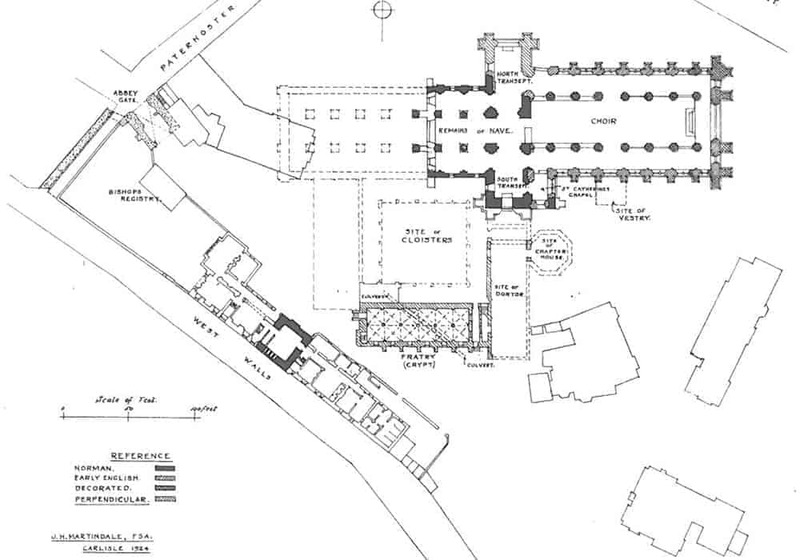 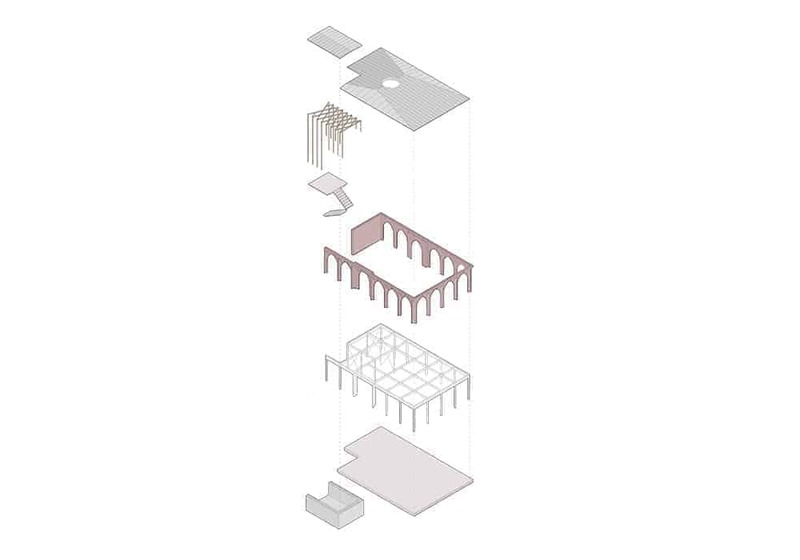 The project includes: a single-storey, new-build entrance building to the north west of the Fratry; the refurbishment of the existing Fratry Hall for interpretation, exhibitions and events; and the refurbishment of the undercroft for teaching and learning activities, where for the first time visitors will be able to enjoy the view through the entire length of the undercroft and see the six vaulted bays. 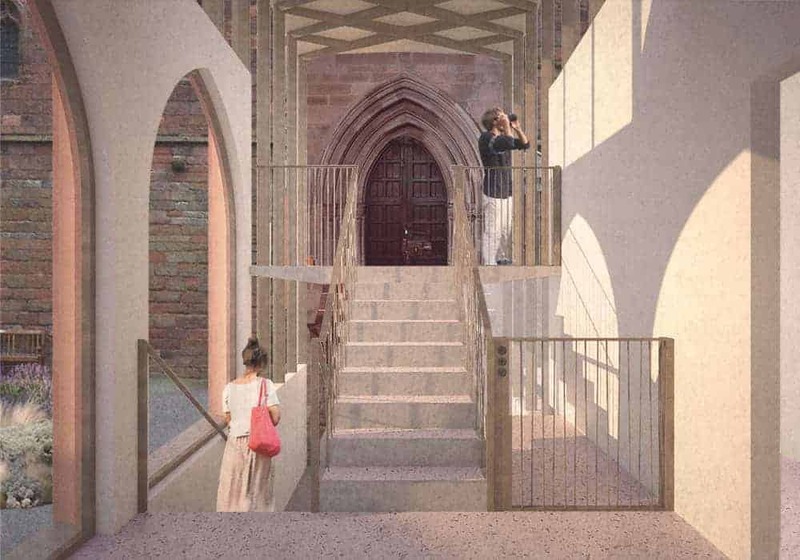 Designed in collaboration with engineers Structure Workshop, the new lightweight, Gothic-inspired entrance building will provide a welcoming space where members of the clergy warmly greet visitors and school groups. 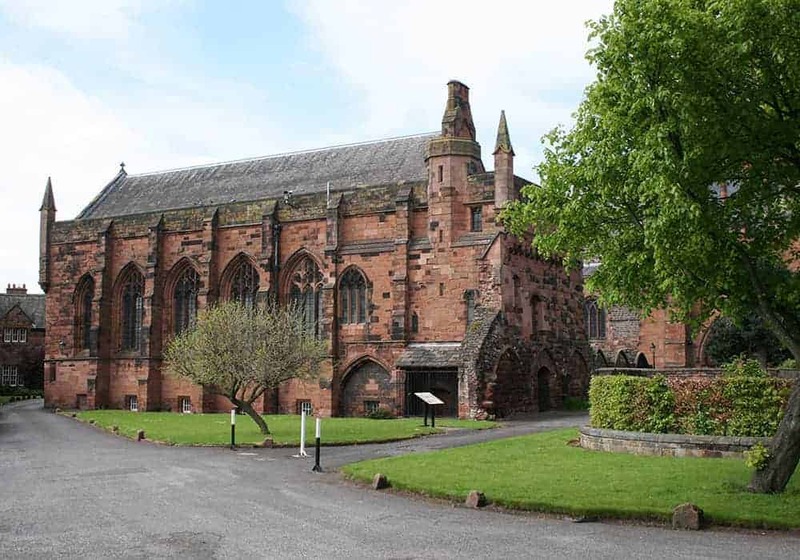 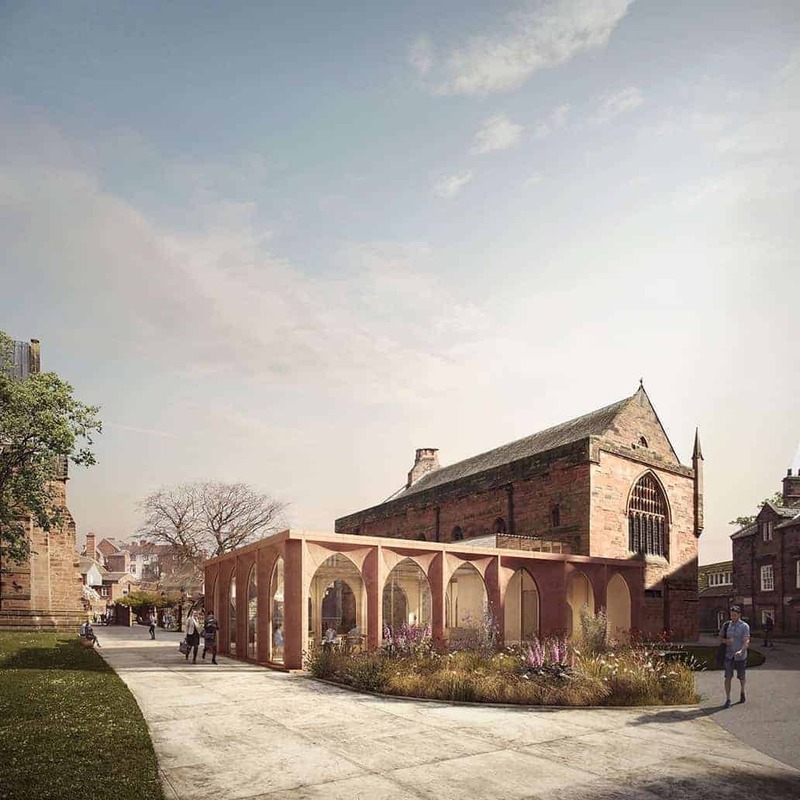 Visitors will be encouraged to make their approach through the new grounds and enter the Cathedral via the new fully-accessible, DDA-compliant link building. 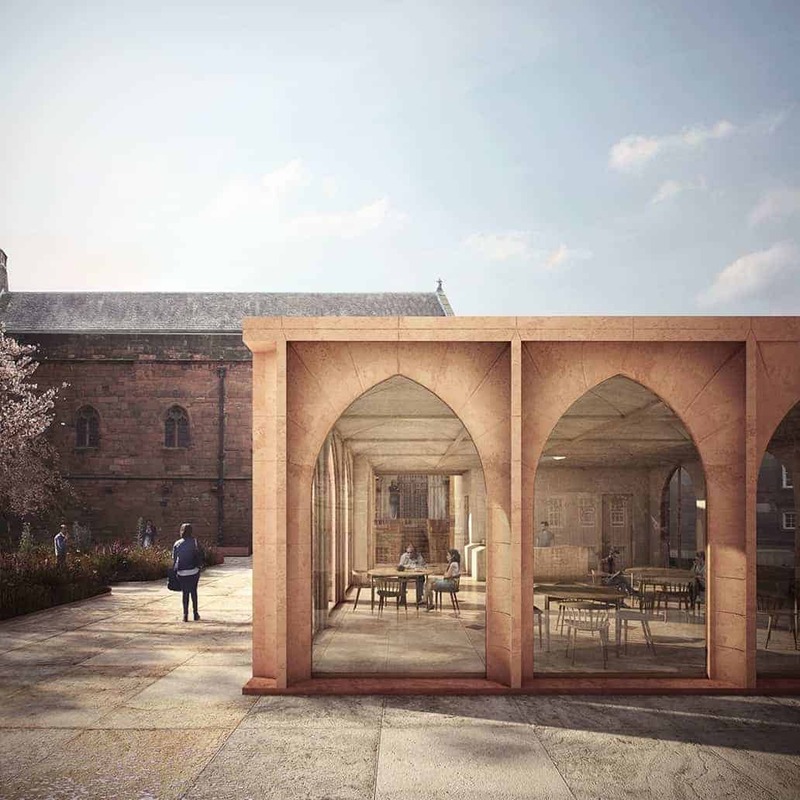 The design was subject to a comprehensive public consultation process, with public engagement meetings held in June 2016. 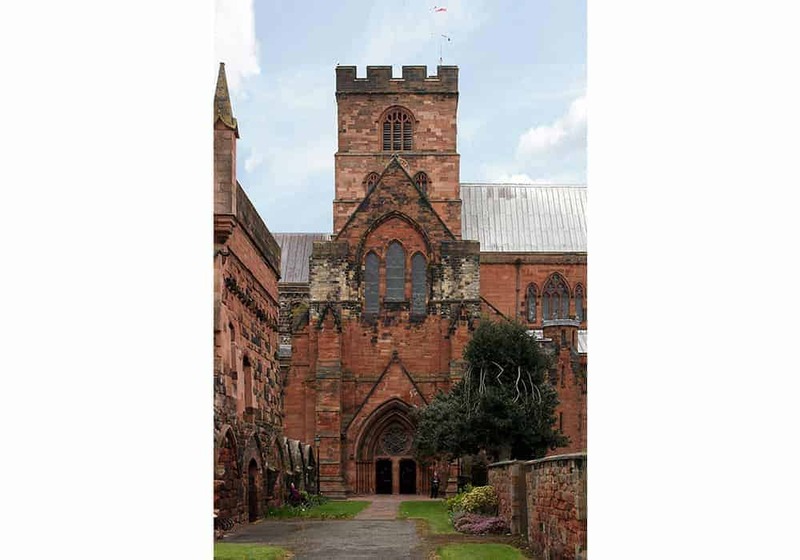 The project received a first round of funding from the Heritage Lottery Fund (HLF) to the value of £81,500 in January 2015, and a second round to the value of £1,918,500 in March 2017. 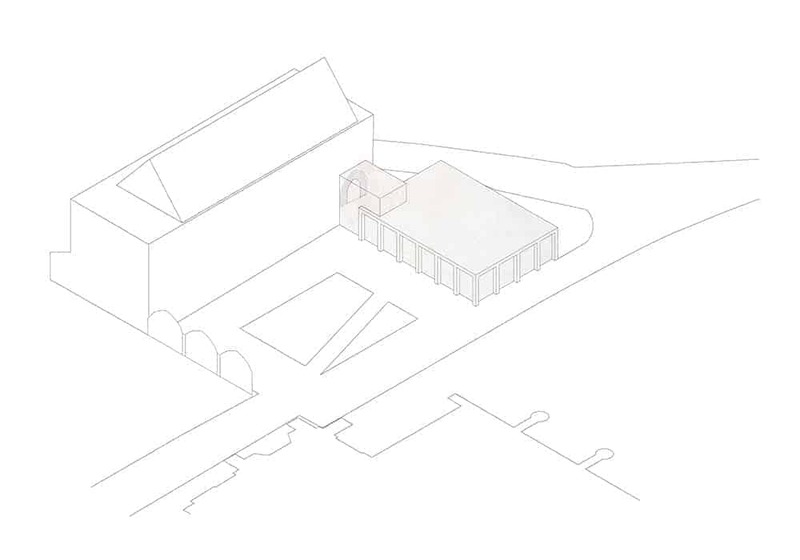 Work is due to start on site in early 2018 and for completion by summer 2019.